When Samsung introduced the Gear S2 and Gear S2 Classic last year, they made it clear that these devices would at some point support Samsung Pay, allowing owners of each device to make mobile payments with their wrists. As 2015 came to a close, that feature never arrived on either watch and Samsung had to admit that the launch was pushed to 2016. We are now in the second half of 2016 and the only mobile payments happening on Gear S2 units seems to have been through a closed beta that Samsung hasn’t been very public about. Well, until today! 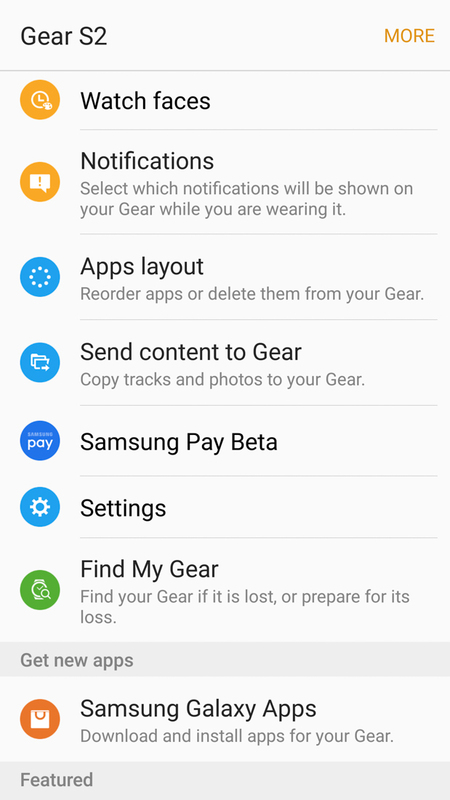 As of this morning, an update to the Samsung Gear app is adding access to Samsung Pay for the Gear S2. 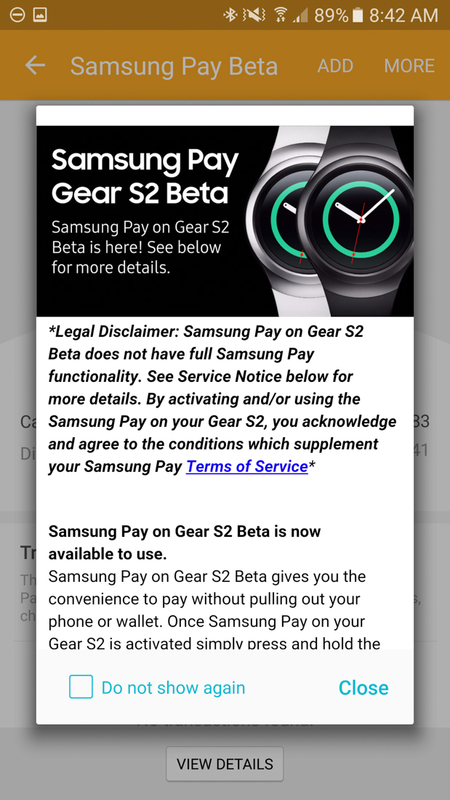 A Samsung support page even confirms as much, stating that “Samsung Pay Beta on Gear S2 will be available for anyone with a Gear S2” as of July 18 (today). We updated Gear apps and Gear S2 software everywhere we could and sure enough, the option to use Samsung Pay is indeed now there. Also, look at the image above. Yep, that’s Samsung Pay up and working on my Gear S2! To get the mobile payments feature setup, you do indeed need to be up and running the latest software (EDIT: See “Other Notes” section) on your Gear S2, so be sure to do that. 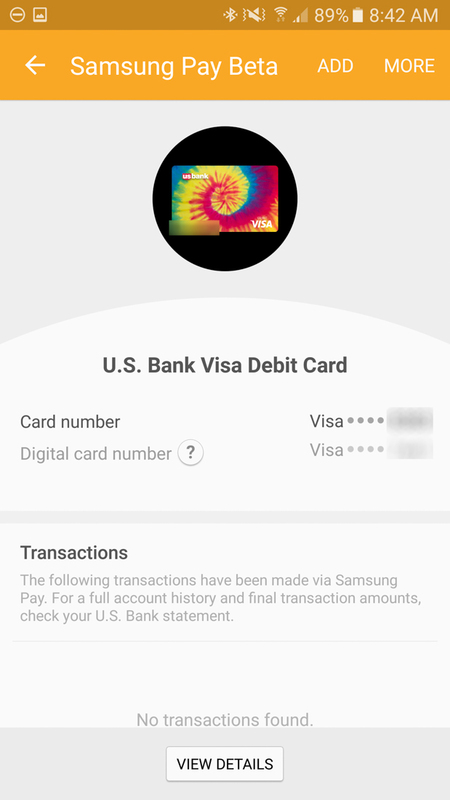 Then, look for the latest update to the Samsung Gear App that seems to include the option for Samsung Pay Beta. Tapping on the Samsung Pay Beta from with the Gear App will then take you through a whole bunch of steps to get setup, one of which involves installing the Samsung Pay (Gear) app from the Galaxy Apps store. 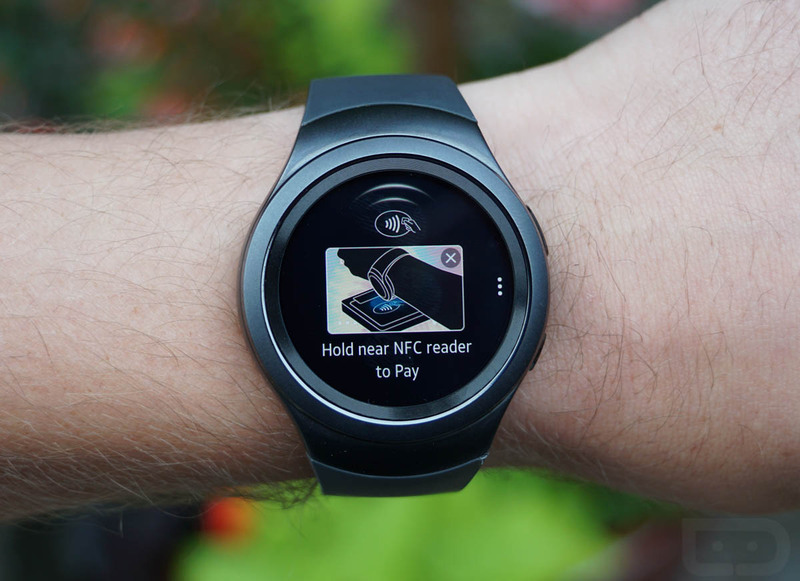 With that installed, you will then need to setup a secure password on your Gear S2 before adding support cards. In a way, this process seems very much like your are setting up an entirely different Samsung Pay experience than the phone version, since you do have to re-add cards. In other words, it’s not just pulling in previously used cards from within Samsung Pay. Software: I mentioned you need to be on the latest version of the Gear S2 software, but that’s not correct, since a new version is rolling out that I realized I do not have. I’m on R720XXU2CPC5, which I do not believe is the update that began rolling out just a few days ago. If you own a Gear S2 (Bluetooth versions only at this time) and a Samsung Pay-supported Galaxy device, today is your day for mobile payments.